Charlotte, NC – Camelot Pressure Washing, Inc. has taken another step towards maintaining their status as a leader in the Charlotte area pressure washing industry by gaining an Environmental Cleaning Certification from Alliance Trade Education Services. The certification was earned by completing a course and examination on environmental pressure cleaning techniques. This latest certification, coupled with their state of the art, closed-loop reclamation cleaning system and technique, gives Charlotte and all surrounding cities an option for a “green” pressure washing company. Camelot Pressure Washing, Inc. has adopted the Clean Water Act’s “nothing down the drain, but rain” philosophy. Not only do their methods help keep the environment clean, but it keep residential and commercial property owners from facing government imposed fines for improper washing techniques. Camelot Pressure Washing, Inc. also offers customers an automated option of requesting a free estimate directly from their website. 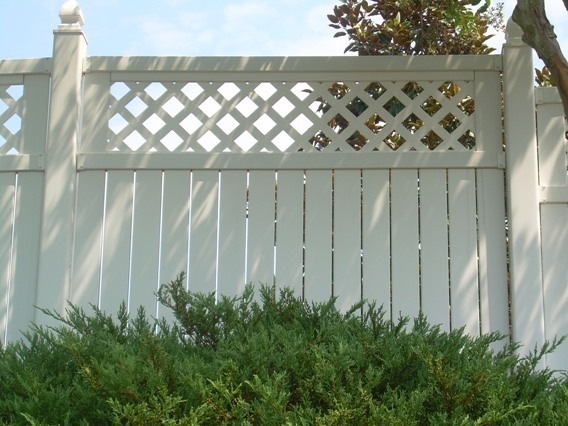 Visit www.camelotpressurewashing.com for a free estimate today or become a fan of Camelot’s Facebook page for specials, discounts, and random drawings. In this age of social networking and internet marketing, many companies are focusing heavily on Facebook updates, tweets about their businesses, and their LinkedIn network connections. These are very effective ways of drawing the public towards your business. It helps get Joe Public off his couch and into your store. It gets a company’s name in front of thousands at a very little cost. What does a business owner or manager do when their company uses a successful social networking campaign, coupled with a very expensive advertising campaign, has wonderful customer service, but they can’t keep customers that visit their store? Their product is wonderful, their prices are competitive, but for some reason Joe Public turns his back after one visit. These are tough economic times where customers are making very informed purchases about every product they buy. It is important to set your business apart from the competition in any way possible. One easy way to accomplish this is by hiring a professional commercial pressure washing firm to clean your storefront on regular basis. Pressure washing is an inexpensive way to make your business literally stand out from the competition. 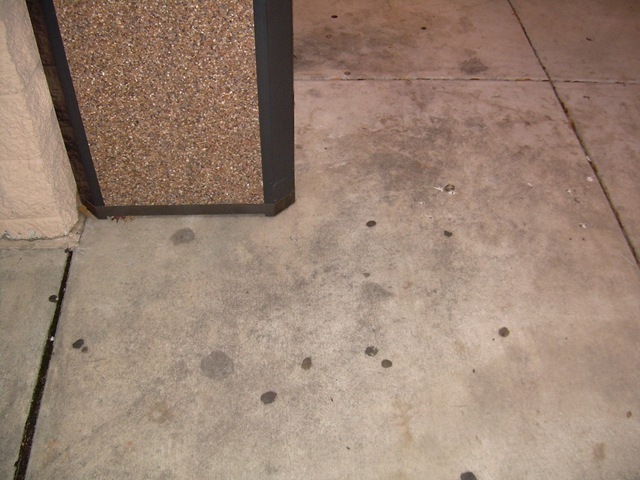 Clean, gum-free sidewalks with no mildew on them, speaks volumes about the product that is INSIDE the commercial location, regardless of what product it is. Call Camelot Pressure Washing, Inc. today at 704-400-0623 for your free quote and free demo. Become a fan of our Facebook page for more information. We can show you what a difference a clean storefront can make! We are residential and commercial pressure washing specialists and are pressure washing Charlotte with pride and integrity. Please see our service areas below and get a FREE estimate today! Become a fan our Camelot Pressure Washing, Inc. Facebook page for special discounts, deals, and FREE giveaways!! During these difficult economic times many Charlotte area residents have witnessed friends and family losing jobs, losing their homes, and suffering through some tough times. Our company, while fortunate in many ways, has also seen its share of customers with a real need to have their homes cleaned of mold and mildew that is threatening their health and safety. Unfortunately, many cannot afford to have services like these as they have been hit hard by the current status of our economy. In the spirit of giving back to our community, Camelot Pressure Washing, Inc. has launched a “Dirty House Contest” in the Charlotte Metro area where participants can send a picture of their home along with an explanation of why they should win the contest. Photos and comments will be judged by management and one lucky winner will receive a FREE house wash! Camelot has also launched a series of “giveaways” on their Facebook page to help fans win prizes. These prizes include Visa gift cards and gift certificates for many local businesses. It is our way of trying to stimulate the local economy and reward our fans for supporting Camelot Pressure Washing, Inc.
Camelot Pressure Washing, Inc. has also posted a website dedicated to this cause. Visit www.DirtyHouseContest.com for contest rules and regulations. Please spread the word to anyone that may benefit from our generosity. Sometimes, just having a clean environment or winning a small prize can boost someone’s spirits. Look at the black streaks on this gutter! Look at the beautiful, safe results from Camelot Pressure Washing, Inc.
Pressure washing is just like any other service industry. On one hand, you have professional pressure washing companies that educate themselves and their customers on a consistent basis, striving to learn more about their profession each day. On the other you have contractors that know just enough to be dangerous to not only themselves, but their customers. This is the case when dealing with gutters on your home. 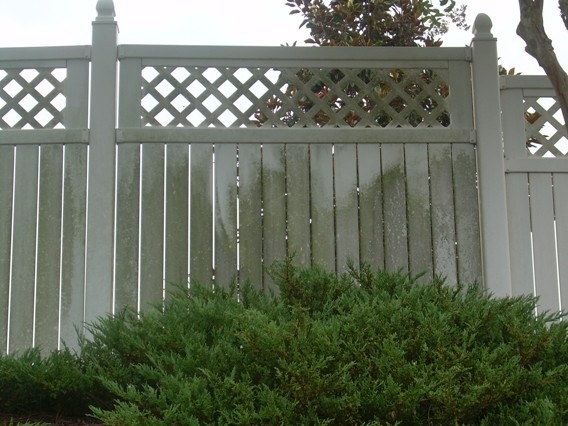 Camelot Pressure Washing, Inc. and other professional pressure washing companies use proper professional grade cleansers that eliminate black streaks on gutters and do not cause damage to the paint on them. We have come across several instances where competitors are telling customers that cleaning their gutters will destroy the paint. This is simply not true if the contractor is using the correct cleansers and techniques to do the job right. Our belief is that many contractors don’t want to spend the time it takes to get the job done right, or they do not want the expense of purchasing high grade cleansers when they can simply miseducate the public and skip the process. In short, the active ingredient in the cleanser that Camelot Pressure Washing, Inc. uses for gutters attacks the oxidation layer of paint on the gutter that contains the black streaks. This oxidation is removed, along with the streaks, leaving a beautiful, white gutter. Camelot offers this service at no extra cost to customers that purchase a whole house wash service! Don’t be mislead by contractors who are giving false information to avoid having to work. Often, these are landscapers, handymen, and painters that don’t know the products and how they react with various surfaces. If you want the job done right, call a professional that specializes in what you are trying to achieve. Go to our Facebook page for more information about pressure washing Charlotte and become a fan to receive special discounts and prizes! Pressure Washing Charlotte Homes and Commercial Property Lands Camelot National Recognition. Camelot Pressure Washing, Inc. has been pressure washing Charlotte area homes and businesses for several years. During the drought of 2008, we took actions to secure the longevity of our company, ensure that our customers were receiving the highest quality service, and make sure that we were environmentally responsible. Our ongoing efforts gained us some national attention this past week, when we were featured in an article in The Cleaner Times Magazine entitled “Surviving The Drought: A Tale Of Two Companies”, by Allison Hester. Our goal has always been to provide our customers with an extremely high level of customer service and quality pressure washing workmanship. We are both honored and humbled by the opportunity to be nationally recognized for our efforts to continue serving our customers during drought conditions. Charlotte area residents and business owners are very familiar with property management fees. These fees are typically incurred by multi-unit housing dwellers and strip center businesses, and pay for building washing, concrete cleaning, landscaping, and other aesthetics within the community or business center. The most astute property managers utilize these funds to hire companies that keep their properties looking their best. Clean, maintained properties encourage potential residents and customers to frequent businesses and/or purchase homes on the property. Property management companies that have the foresight to maintain the properties they manage are rewarded with quality tenants and thriving businesses. 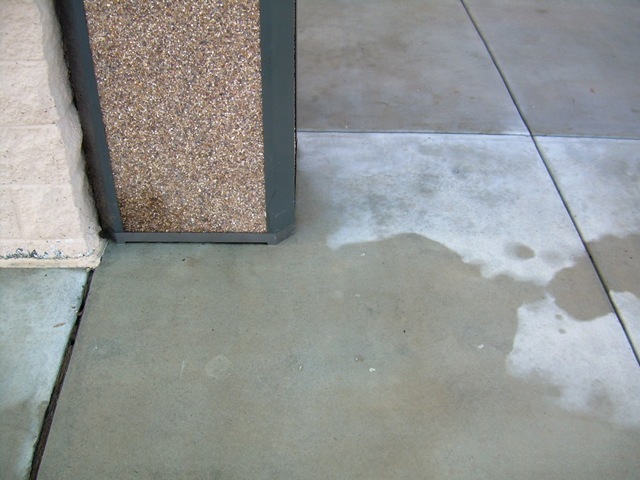 Concrete that is slippery from gum and mildew becomes a potential hazard for tenants and opens the door for lawsuits that can easily be avoided. Customers don’t wish to frequent businesses with grimy concrete that is covered in gum. It is unsightly and becomes a reflection of the business and its methods of cleanliness. Nothing says “Don’t rent or buy me” like mildew covered townhomes, fences, concrete, and walls. Annual maintenance on these surfaces will keep them looking their best. Camelot Pressure Washing will visit your property and provide a detailed, professional estimate on cleaning your property. Pressure washing Charlotte area properties is what we do best! Call today for your free evaluation or visit our website for more information.